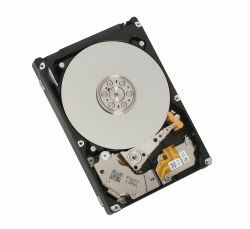 The AL14SEB-N Enterprise Performance HDD models combine the performance of 10,500rpm spindle speed with capacities up to 1200 GB in a compact, power efficient 2.5-inch form factor. Engineered for mission critical IT operations, the AL14SEBxxxN models support 12.0 Gbit/s SAS and provide 512 Byte per sector native format required for legacy applications and operating environments while delivering sustained transfer rates reaching 196 MiB/s. In addition, the AL14SEB-N Series helps to reduce operating costs by improving access time and reducing power consumption when compared with legacy 3.5-inch Enterprise Performance HDD models.